Toronto brace yourself for some winter weather coming your way! JustEat is making it easier to get dinner tonight, stay in and let their delivery people do the work instead! 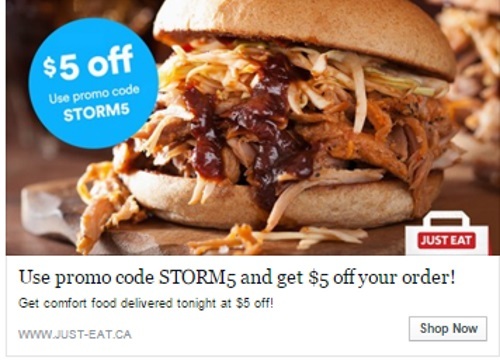 Save $5 off your next order with the promo code STORM5. Offer is valid February 24-26 2016.